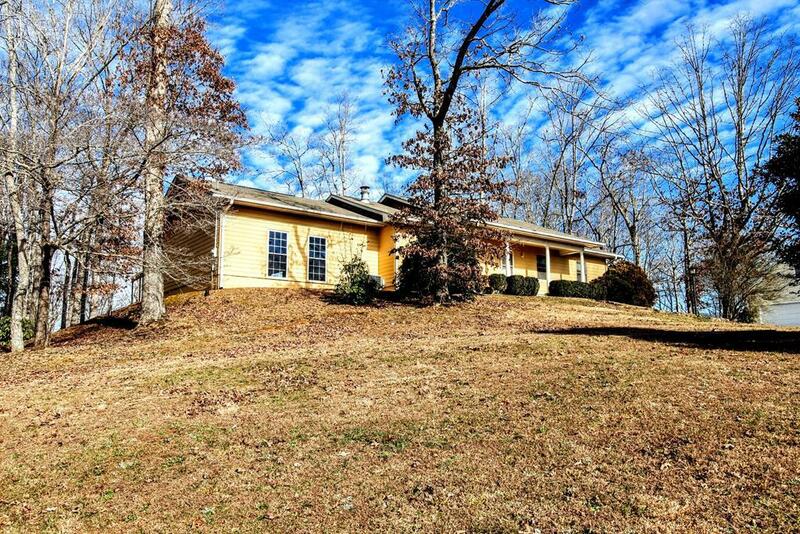 Explore the possibilities, in this delightful ranch style home, sitting on almost 2 acres, unfinished basement, perfect for storage or rec room/man cave. Cuddle up in front of the massive fireplace in the living room or rock all of your cares away on the covered front porch, while enjoying the huge front yard with a great views. Charming home with loads of potential.